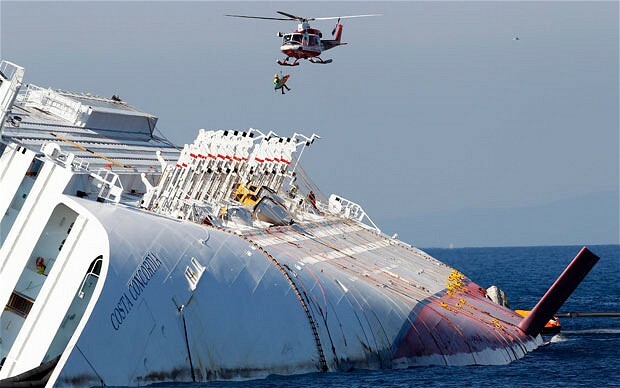 The operation to remove the 114,000 ton capsized cruise ship off the coast of Giglio will begin in the next few days. It is expected to cost around $300 million and will be the largest refloat attempt in history. The ship will be pulled into an upright position by cranes, refloated and then towed to the Italian mainland where she will be broken up. “We hope to complete our sad search during the recovery of the vessel,” said Franco Gabrielli, the head of Italy’s civil protection agency. Many bodies were recovered from the stricken vessel but there are still people missing including an Indian national and Italian national. Within the next few days the salvage team will begin construction of a 40m square undersea platform on the seaward side of the ship, this is where the rock shelf slips away into much deeper water. A panel of large yet empty metal boxes will then be soldered to the exposed port side of the ship. Once this is complete the cranes will be sued to roll the vessel into a natural upright position on the platform. This is then where the metal boxes play their part. As they tilt into the water, water will be pumped into them in order to help the ship’s movement. Cables attached to the land will also ensure she does not slide off her platform. Richard Habib commented “The rolling of the vessel and the subsequent refloating will be the most risky moments of the operation,” Asked if he had a plan B should the scheme fail, he replied: “We think it is going to work, there is no plan B”. Once the vessel is upright the salvage team will then attach another panel of the same metal boxes to her starboard side. Water again will be pumped into these which will prompt the ship to once again float and she will be towed to the mainland. The ship will not be sealed as the boxes will give it sufficient buoyancy. 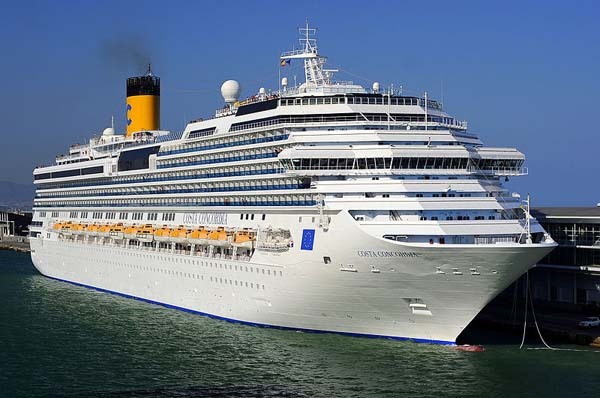 Habib also said they would be continuously monitoring the water around the vessel in order to ensure decomposed foods and detergents are not leaking out. Tests so far show the water is clean. 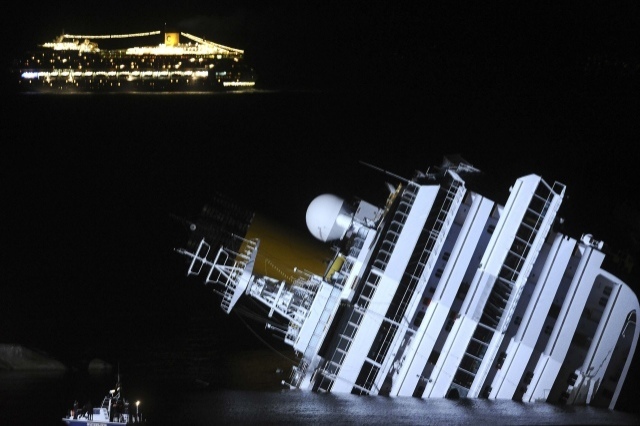 The next hearing in Captain Francesco Schettino’s trial is scheduled for July 21st.